Two American national sporting heroes, one of them a homegrown Aussie, will be the first guests to drive a V8 Supercar on American soilwhen they team up with James Courtney and Fabian Coulthard at the Circuit ofthe Americas next week. 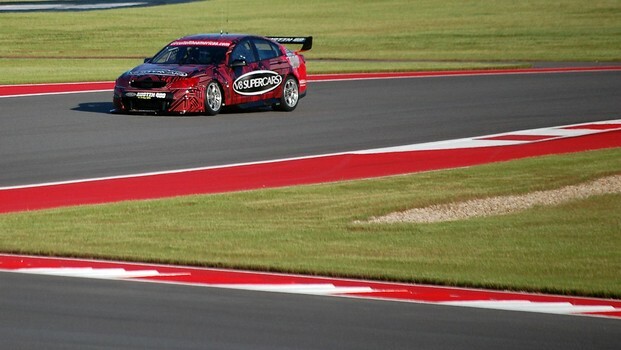 NASCAR Champion Kurt Busch and Australia’s most decoratedSupercross rider Chad Reed will next Tuesday cut laps in the VF Commodore V8Supercar at the stunning Austin circuit where V8 Supercars makes its debut onMay 17-19. "I'm flattered for the invite from V8 Supercars,” Buschsaid. “Not only driving one of their style of cars was high on my list but todo it at COTA makes this a dream opportunity." As part of this exciting day, Furniture Row Racing willbring down their Gen-6 race car to be the first NASCAR car to drive at the COTAtrack. Due to this rare opportunity to have these superstars and their cars inthe Capitol, Busch will swap cars with Courtney and Coulthard. Courtney will this weekend become the first V8 Supercardriver to drive a V8 Supercar in America and just the second internationallyacclaimed Australian after Mark Webber to drive the COTA track, when theCommodore cuts exhibition laps at the MotoGP event. Courtney and Coulthard flew to Texas yesterday on the backof HRT’s form resurgence in Tasmania and New Zealand and Lockwood Racing’sdominant season so far. Courtney and Coulthard will remain in Texas after the MotoGPweekend for a series of media and promotional engagements with Busch and Reed,including cutting passenger laps on Tuesday. Busch is an American legend and one of the biggest names inthe US. Busch, 34, has earned 24 NASCAR victories, 88 top-five and 174 top-10finishes to go along with 15 career NASCAR Sprint Cup Series pole awards andthe 2004 Sprint Cup Series Championship title. Busch, who also boasts an IROC championship on hisimpressive resume, skyrocketed to the top of the stock car racing world earlyin his career and has maintained a high level of performance since he burstonto the scene. He won the Cup Series Championship in 2004, the first everseason using the "Chase for the Cup" points format, finishing justeight points ahead of Jimmie Johnson. With a 2006 win in the Nationwide Series,Busch became one of only 23 drivers with a win in all three of NASCAR's topdivisions: the Sprint Cup Series, the Nationwide Series, and the Camping WorldTruck Series. He currently drives the No. 78 Furniture Row Chevrolet SSfor Furniture Row Racing in the Sprint Cup Series. Reed is a multi-time Supercross champion, winning the US AMA Supercross Championship in 2004 and 2008. In 2009, he won the 2009 AMA450 National Outdoor Motocross Championship, and the Australian SupercrossSeries for his fourth time. 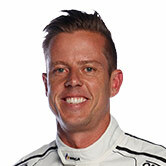 "I am really excited to be given the opportunity todrive a V8 Supercar at the Circuit of the Americas. 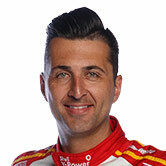 I am huge fan of V8Supercars and it is exciting that the series is making its debut here in theUSA,” Reed said. After winning the Australian Supercross Championship in2000, Reed went to Europe in 2001 to ride for Jan DeGroot’s factory Kawasakiteam. Reed and his KX250 won the MX Grand Prix of Lierop and eventually finishedthe year second to multi-time World Champion Mickael Pichon. In what is the ultimate “Aussie invasion” the V8 Supercarsof Ford, Holden, Nissan and Mercedes-Benz E63 AMG will take to the track May17-19 at Circuit of The Americas with an aggressive, do-or-die racing stylethat is sure to have US motorsport fans hungry for more. V8 Supercars will contest four 100km sprints at the stunningAustin racetrack with two races on Saturday May 18 and Sunday May 19, precededby a qualifying session each morning. Friday May 17 features practice sessionsand support race activities on track. The goal is to show the massivemotorsport heartland what V8 Supercars racing is all about, promising to leavea lasting impact on Texan and American audiences.